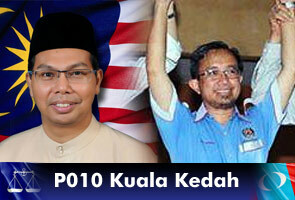 BN Doctor vs PKR Doctor, who will win? KUALA KEDAH: When talking about doctors, the first thing that comes to our mind would be medicine, stethoscope and patients. Nevertheless, that is not the case today, instead the question would be: with the right ‘equipment’, can these professionals carry the responsibility of a politician? This question would be suitable for the new candidates chosen to contest in Kuala Kedah - Dr. Zaki Zamani Abd. Rashid from Barisan Nasional (BN) and Dr. Azman Ismail from Parti Keadilan Rakyat (PKR) – who will be competing against each other to grab the parliamentary seat. Both are new faces, but Dr Azman, 52 has an advantage as he appears to have a lot more knowledge about politics. As for Dr Zaki, 36 he has an advantage too- an ambition of young man who wishes to be active in politics. In fighting the battle for BN, Dr Zaki is willing to quit his job as a doctor at Sultanah Bahiyah Soecialist Hospital, Alor Setar and accepted the offer to become a candidate for Kuala Kedah Parliament. He looks at his experience of being in the medical field especially on communication with his patients as an added bonus to become a politician. “As the new face in the political arena, I need to work hard by getting closer to the people and the voters, and so far I have received good feedback as most of them already know me. This is due to my involvement with voluntary activities and some of them are my own patients,” he said. To add, every time he’s campaigning from house to house, he would also offer health screening service. “I offer political service to the society. My approach is to have good relation with the residents here,” he added. The combination of medical knowledge which brings him closer to the people and politics might actually work. A good example would be Tun Dr Mahathir Mohamad, he too was a medical practitioner before joining politics. In fact, he was described as a successful politician which allowed him to hold the Prime Minister position. Until today, the former Prime Minister is still active in giving his opinions and ideas where his efforts are still needed the development of the country. As for the PKR candidate, Dr Azman, he is ready to fight with whoever as long as the victory belongs to the party. The welfare of Kuala Kedah residents is his main focus. “There are a lot of issues concerning the poor in Kuala Kedah. Generally, the issues are on drug addicts and AIDS, which were never given much attention as well as housing woes,” he said. As a doctor, he emphasises on importance of health issues among his residents. He is very concerned about the coastal pollution in Kuala Kedah which gives negative impact to the fishermen and the residents. In addition, having a clinic around Kuala Kedah is one factor to attract voters and a more effective way in getting to know the people. The Kuala Kedah Parliament consists of 95,000 voters whereby 77 per cent are Malays, 21 per cent are Chinese and one percent are Indians. These numbers will decide who will be chosen to represent the area come May 5. During the 2008 general election, PKR won with a majority of 7,018 votes. However, that was almost five years ago and for the upcoming GE13, the area will see one of these doctors taking the ‘hot seat’.